Open Call for Kinetica Museum’s anniversary exhibition. 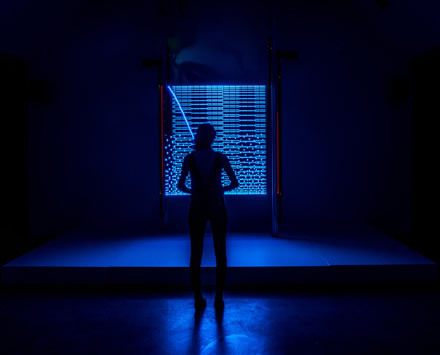 Kinetica marks its 10 year legacy as a leading platform for international new media art with a ground breaking anniversary exhibition that explores the many dimensions of illusion, transformation and metamorphosis. Ten artists have been selected through an OPEN CALL to exhibit in Kinetica’s 10 year anniversary show. The selected artists will be shown alongside some of the most renowned kinetic and new media artists working today. Works were selected that best address the theme of the show, challenge perceptions and push the boundaries between the many facets of reality and illusion. Each selected artist will be part of the anniversary exhibition, receive a free Kinetica Museum Artist membership and two tickets to the anniversary exhibition & events programme. Kinetica open submissions were selected by a panel of curators, artists and industry leaders. Further details on all the selected artists and works will be posted soon.